BEd Honours 2nd-year 4th Semester Routine 2019 for the Session of 2018. Students who will be participating in this examination in 2019 here are your examination routine. 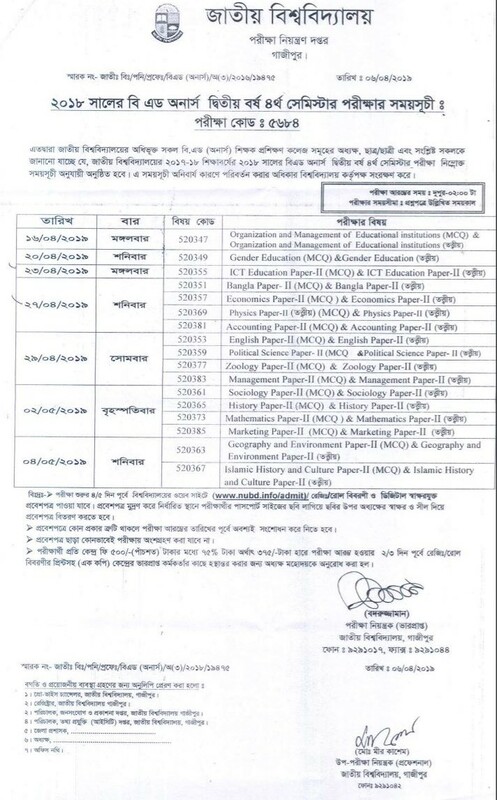 This examination starts from 16th April 2019 and Deadline 04th May 2019.